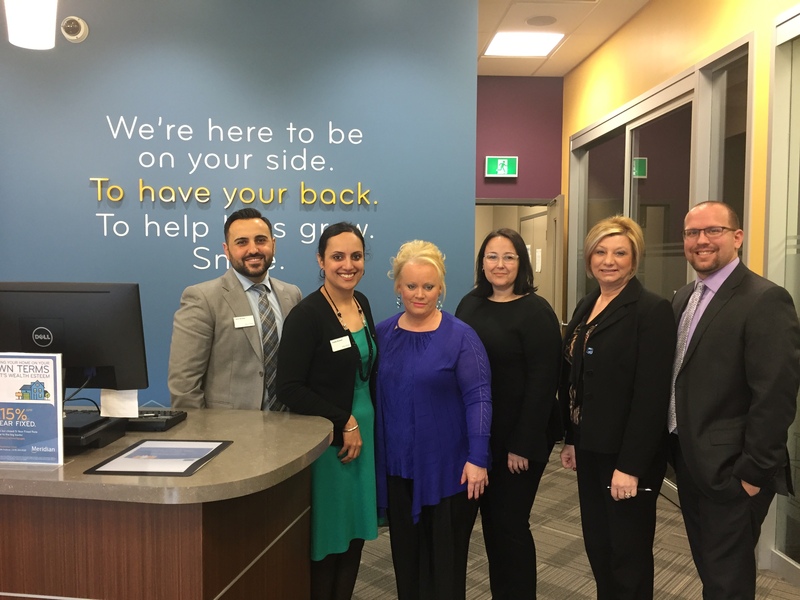 The difference between banks and credit unions was a mystery to me until long-time friend Rolonda Taib, Windsor Branch Manager of Meridian Credit Union, unraveled it, and I have been a satisfied customer and member since 2015! Banks are owned by shareholders, executives unrelated to you and your investments. Credit Unions are owned by YOU! Their customers, which they refer to as Members, are their shareholders! They are a member cooperative, which embodies the spirit of people helping people, your neighbors, and fellow community members! Much like banking as it used to be! I had my fears though; there were rumours that my money would not be as well protected as they would be in a traditional bank. Credit unions, like other financial institutions, are closely regulated by one or more provincial government organizations, which exist to protect the deposits of credit union members. Banks insure through the CDIC government agency for up to $250,000 per person. In Ontario, you can rest easy knowing that your eligible deposits are protected by DICO (Deposit Insurance Corporation of Ontario), the Government of Ontario agency which provides deposit insurance protection for the Members of all Ontario credit unions and caisses populaires. DICO guarantees every dollar of an RRSP, RRIF, RESP or TFSA but non-registered investments were only insured up to $100,000 (funds residing outside a registered plan such as an RRSP, RRIF, RESP or TFSA) UNTIL NOW! Recent amendments to the Credit Unions and Caisses Populaires Act, 1994 and the General Regulation, Ontario Regulation 237/09, have been approved though and will become effective on January 1st, 2018. The amendments include an increase in deposit insurance up to $250,000 on eligible insured non-registered deposits! The Bottom Line is that in the New Year, Credit Unions will provide equal coverage to banks! Now that trust is established, on to the superb services credit unions offer! While every credit union is designed to meet the needs of its Members and the communities it serves, Meridian Credit Union stands out because it is Ontario’s largest credit union with 90 branches across Ontario. “Our service is our secret sauce, says Rolonda. “We go above and beyond to have our Members’ backs and to help them with all their financial needs.” And if you are a business owner, you will benefit greatly from a partnership with Meridian Credit Union! As a Realtor®, I am considered a small business. Meridian Credit Union is set up to benefit small businesses within their community! It all began with a conversation, then a visit to my workplace. Rolonda asked crucial questions. She then invested the time to familiarize herself with my industry and marketplace and looked to understand the challenges and opportunities facing my business and created sensible solutions for my personal situation. 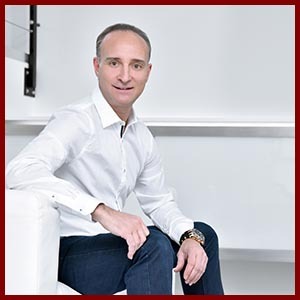 “For us, it’s about listening first to get to know you and your business,” says Rolonda. “We genuinely care about your business and are committed to helping you and your business succeed because we are much more than just your financial institution, we aspire to be a key partner to our small business Members and provide small business owners with solutions to help them not only save money but also to reclaim their most precious asset – their time.” At Meridian Small Business, their goal is to get the right answer, right away, for every Member. For small businesses, timing is everything. When Members get the answers they need, when they need them, they feel confident pursuing growth and reaching their goals. The same standard types of home mortgages available at the large banks (variable and fixed mortgages) are available at Meridian Credit Union, and mortgage rates are priced competitively against the bank rates, but Meridian also has unique mortgage offerings like the Family + Friends Mortgage – a practical way for modern families and friends to join forces and pool their financial resources to afford a larger shared home. With this mortgage solution, Meridian Credit Union has made it easier than ever for up to four people to obtain a mortgage and take advantage of their always low rates. They have recently launched their new digital mortgage lending platform as well. Here, you can apply for and obtain a Meridian mortgage at your own pace, from your laptop, tablet or smartphone, from anywhere around the world! Meridian also offers the most competitive tools needed to help their Members successfully manage their finances. Everything from financial products such as bank accounts, mortgages & loans; Services, such as financial advice, wealth management, investments; Innovative solutions such as mobile banking and mobile cheque deposit all with the security you would expect through DICO. In addition, co-operative banking allows their Members to benefit from personalized service; products that are right for them (rather than products someone is trying to sell to them); expert and objective financial advice and localized decision-making. Meridian only operates in Ontario with two corporate head offices – in Toronto and St. Catharines. With $17 billion in assets under management, a full range of financial services online, by phone, by mobile and through a network of 90 branches across Ontario, commercial banking services in 11 locations, and access to THE EXCHANGE® Network, with more than 3,300 no-fee ABMs across Canada and 500,000 ABMs in the United States, Meridian Credit Union Members have all they need. Meridian Credit Union exists to help lives grow. One way is through Meridian’s Commitment to Communities. They uphold this commitment to support our local communities across Ontario, where they can all build better, more prosperous lives. As part of this commitment, they invest a minimum of 4% of pre-tax earnings in initiatives that benefit Ontario’s communities. Meridian Credit Union has supported the following charities in Windsor Essex: Downtown Mission, Coats for Kids, Junior Achievement, local grade school breakfast programs, Do-Good Diva’s, Community Living, Heart and Stroke Foundation, Cancer Society, United Way, Hiatus House for Battered Women, Windsor Homes Coalition, YMCA of Western Ontario and Katelyn Bedard Bone Barrow Association. Experience the Credit Union Difference with Meridian! Credit Unions are bringing back banking as it used to be, with personalized customer service and the community in mind. Making the switch from bank to credit union is quick and easy! Visit their branch to experience the credit union difference! They are located at 3065 Howard Ave., Suite 1, in the Roundhouse Centre, across from Devonshire Mall, (519) 254-4324. Whether you stop by and chat with one of their full-time financial advisors or Senior Wealth advisor or visit www.meridiancu.ca to open an account online in the comfort of your own home, Meridian Credit Union is looking forward to changing your financial experience for the better!